Tired of expensive and unreliable business phone service? Get a Cloud-based Business Voice Over IP (VOIP) phone solution from Amp Telecom with amazing clarity and 24x7 reliability, and you even could cut your phone bill up to 60 percent. Got any technical questions, or looking to fine-tune your settings? You enjoy hassle-free support and training from a US-based team of experts with more than 20 years of telecommunications experience. (7) Spectrum offers their voice service at $29.99 for the first 12 months and $39.99 for months 13 to 24. No, this is not a huge call center and you won’t be speaking with a salesperson … you will be connected with an experienced telecommunications expert who can answer your questions about the phones, the network, costs, technical issues and more. Innovative enterprise telecom features include call recording, call routing menus (IVR), call monitoring, voicemail-to-email, fax-to-email, conference calls, presence (BLF), extension directories, follow me, and so much more. High-quality, low-cost business phone service for reaching valued customers and business partners.Get direct inbound dialing phone numbers in any city in the world with the lowest international long-distance rates! A start-to-finish managed phone solution for your small or medium sized business, saving you costs on high-priced staffing and outsourcing. At Amp Telecom, we customize your service to meet your business needs. Transport Layer Security (TLS) and Secure Realtime Transport Protocol (SRTP) keep the communication channel encrypted between you and Amp Telecom. TLS encrypts the communication details and SRTP encrypts the conversation. Amp Telecom’s phone solution is compatible with Cisco, Grandstream, Polycom, Yealink, and practically every SIP/VOIP telephones on the market. Bring your phones over any additional expense or take advantage of our free telephone promotion. Use your favorite softphone on your desktop, tablet, or mobile phone. You’re not locked into a proprietary application with Amp Telecom. With a softphone, telephone calls to and from your business associates go through your business phone account as if your were sitting at your desk. Your personal mobile phone can stay personal! Our favorite softphones are X-Lite by Counterpath and GS Wave by Grandstream. What do customers say about Amp Telecom? We use AMP Telecom for local teams and remote staff located across the United States. Call quality is consistently clear and reliable. The phones just work. Every time! More importantly, AMP Telecom support staff were prompt and professional while helping us work through a firewall issue when we installed equipment at a new location. The folks at Amp are top notch when it comes to customer service. They set us up with exactly what we needed … at an affordable cost. They were interested in making sure they understood what we needed … and giving us just that. The service has delivered, we are thrilled we started using Amp. Stop throwing away money on a phone system that’s limiting your business productivity. Start enjoying amazingly clear phone service with lower bills, and gain access to an unmatched team of support experts. Call us at (888) 796-8782 or complete the form to get started. Yes, we even can help recommend a great phone! 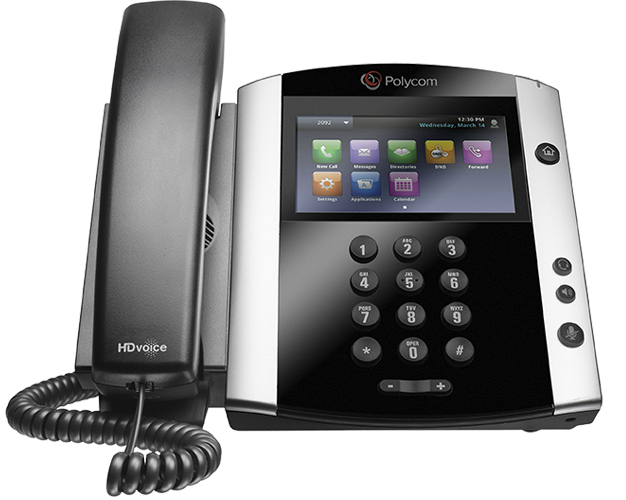 Phones and headsets for VOIP calling solutions can vary greatly in terms of quality, features and cost. And surprisingly, the most expensive phones often are not the best options. We happily offer specific guidance and suggestions for the equipment that will best meet your unique requirements.